Epresat liquid is easy to take and helps safeguard the balance of vitamin A, D, E, C, B1, B2, niacin and B6. 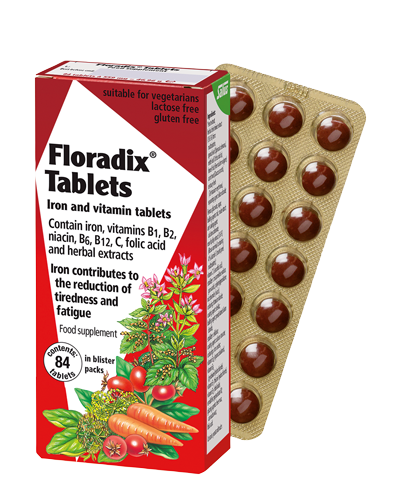 As these nutrients are already dissolved, they are absorbed more quickly by the digestive system compared to tablets. 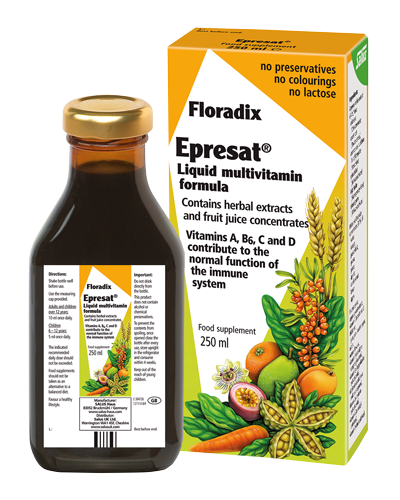 Epresat contains several fruit juice concentrates and selected herbs for a pleasant fruity taste. Epresat contains no alcohol, preservatives, colourings or artificial flavourings. It is lactose free and suitable for vegetarians. Children 6–12 years: 5ml once daily. Salus (UK) Ltd on 01744 815 042. 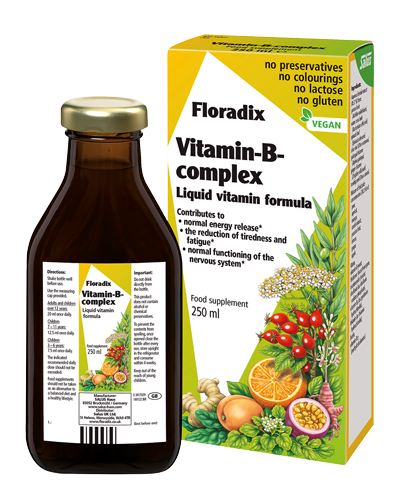 Aqueous herbal extract (34 %) from: cola seed (Cola acuminate), carrot root (Daucus carota), common sea buckthorn fruit (Hippophae rhamnoides), spinach leaf (Spinacia oleracea), kelp thallus (Macrocystis pyrifera), wheat germ (Triticum aestivum). Mixture of fruit juice concentrates (31 %) of: water, orange, carob extract, guava, passion fruit, apricot, grape, lemon, apple. 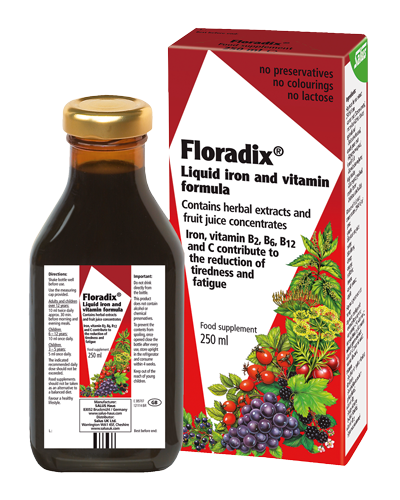 Fructose syrup, aqueous yeast extract, vitamin C (L-ascorbic acid), thickener: guar gum / xanthan gum, nicotinamide (niacin), natural flavours, vitamin E (as d-alphatocopheryl acetate), vitamin B6 (as pyridoxine hydrochloride), riboflavin (as riboflavin sodium phosphate), thiamin (as thiamine hydrochloride), vitamin A (as retinyl palmitate), vitamin D (cholecalciferol).